JNF Roofing Ltd. is an experienced roofing company, we operate nationwide. 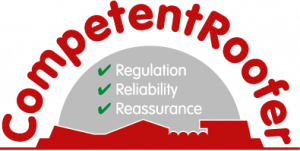 The Competent Roofer Scheme enables us to self certify our work and issue Building Regs. This avoids the need to involve the Local Authority and gives you peace of mind when you come t sell your property. Click here for more information. Established in 1985, the Confederation of Roofing Contractors is the premier roofing trades association in the UK, our members are considered to be the best in the business. If you require a roof repair or even a completely new roof our members are there for you. Click here for more information. TrustaTrader is a web site to help consumers: If you’re looking to get a job done properly, you want to find a trader you can trust to do a good job for a fair price. TrustATrader allows you to quickly find a tradesperson in your area who can be trusted to provide a high standard of work. Click here for more information. FairTrades Association Members Have Been The Homeowners First Choice For 30 Years! The Federation of Master Builders is the accredited organisation for builders in the UK. TrustMark is a not for profit organisation, licensed by Government and supported by consumer protection groups. 9 out of 10 homeowners agree: it can be hard to find a good tradesman. The truth is, you don’t always know what you’re getting. At Rated People, you do. If you pay a Deposit and the company ceases trading before the work is completed your money would be lost. The HomePro Group has specialised in the home improvement industry for almost thirty years and has become the UK’s leading provider of home improvement deposit protection and insurance backed guarantee products. Find us in Yellow Pages. Find us in Thomson Local.